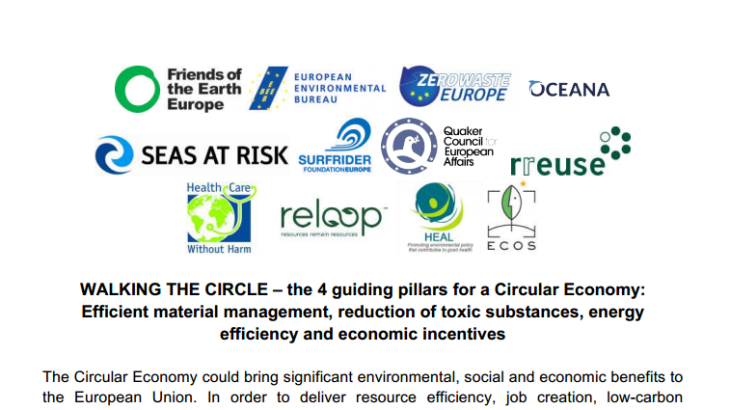 This paper outlines four key areas that QCEA, along with 11 other NGOs, believes that European Union institutions should work on to ensure a comprehensive European circular economy. The EU must focus on efficient material management, the reduction of toxic substances, energy efficiency and economic incentives. Working ambitiously across all these areas. in conjunction with each other is vital to attain a holistic circular economy, and make sure that maximum benefits are achieved for people and planet. 2015, Sustainability circular economy, Economics, Energy efficiency, European Commission (EC), European Union (EU), Quaker Council for European Affairs (QCEA), Resource-efficiency, Sustainability, Sustainable consumption and production, toxic substances. permalink.